1. The latest 1:32 release from Revell is #04478, Alouette II 'Attack' with Nord SS-11 missiles, an experimental configuration that did not make the transition into active service. For pictures of the sprues and the decal sheet, plus a list of the decal and build options, go to Modelversium. 2. The recently re-issued Revell Monogram 1:32 AH-1G Cobra #RMX-4677 (previously Revell H-287, 4414 & 4495) has all the old parts plus a new sprue that includes new rocket pods, intake screens, anti-collision light mount and a few other parts, including tail lights. The old sprues have been updated, most notably the rotor hub. The square mount has been changed so that the pitch horns and pitch links now line up, they didn't in the old kit. Do remember that these are old moulds and as such you can expect them to have a lot of flash, ejection pin marks, and mould lines. The kit seems to be available from a number of outlets at substantially reduced prices, leaving you with spare cash to help with the essential Cobra Company cockpit and XM-35 detail sets. 3. 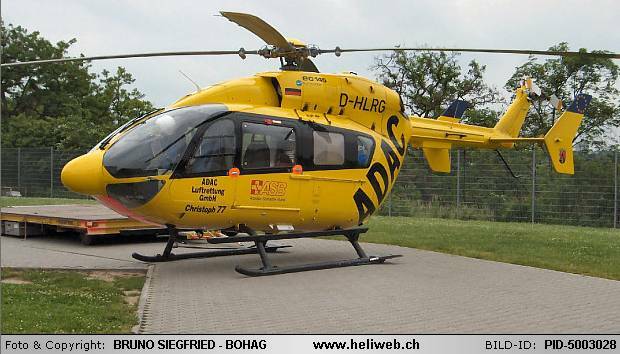 Revell have also finished the boxart for their upcoming new 1:32 EC-145, this features the ADAC aircraft D-HLRG / Christoph 77, based at Mainz. 4. 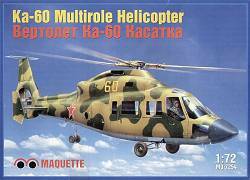 Maquette kits are always re-issues; the latest is a Kamov Ka-60, #7254, which is probably derived from Amodel kit #7218. 5. 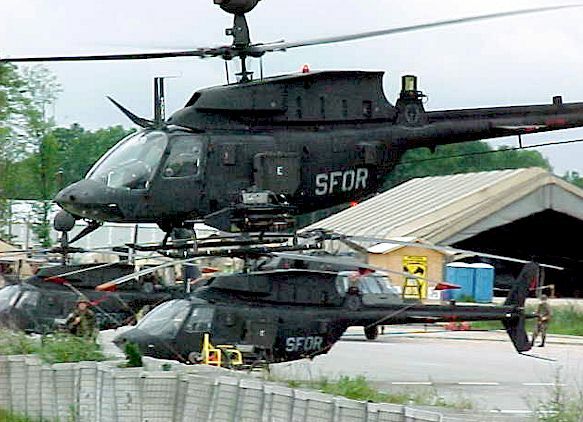 In the Hyperscale Weekend Magazine of 18/19 June 2005, Floyd Werner presented a detailed Construction Feature on the OH- 58D Warrior using the 1:35 Academy/MRC kit with his own resin update/detail parts (available from Cutting Edge); 18 images are included. 7. Eduard's July releases include 'Eduard Mask' sets JX035 for the 1:35 Panda UH-1N Gunship and CX082 for the 1:72 Revell Sea King Mk.41. 9. Hawkeye Models (Australia) is back in business with a new owner. There are some extra decals on the sheet that can be used to make subjects from other units as well. An image of the decal sheet can be seen at the Fireball Modelworks website. Thanks to Floyd Werner, Felix Trotschier, Joseph Osborn, and Rob Nieuwenhoven, and to the many generous readers of HKN for their support in difficult times.